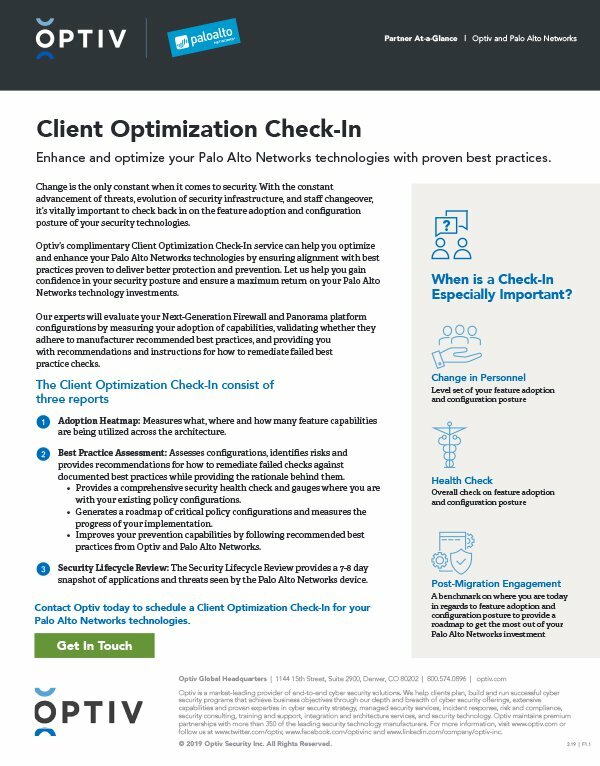 Take advantage of this free service by Optiv to enhance and optimize your Palo Alto Networks technologies. This service includes an adoption heatmap, best practice assessment, and security lifecycle review. Learn more about this service here.